Lobo School of Innovation (LSI) is a one of the instructional choices for Quimby Oak Middle School students. This innovative program starts and ends the same time as the rest of the campus, but the class schedule is very different in order to put into practice the unique curriculum and school model. 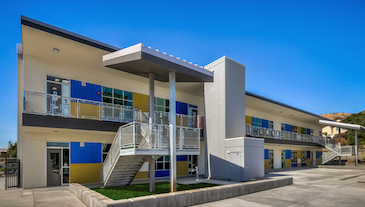 LSI classrooms are on the campus of Quimby Oak Middle School. To learn more, visit our LSI website. Help us raise funds for 21st Century Learning at Quimby Oak Middle School. Make a secure, tax-deductible donation by MC, Visa, or Discover. Be sure to choose Quimby Oak from the drop down menu!